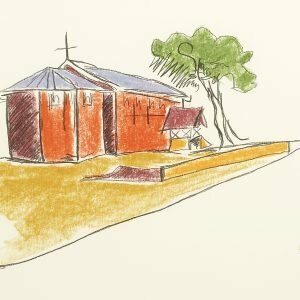 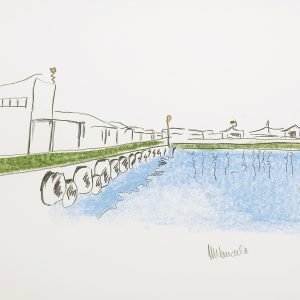 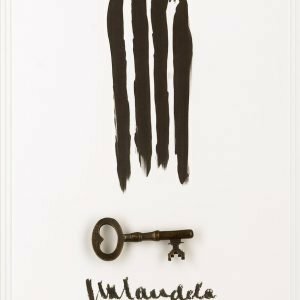 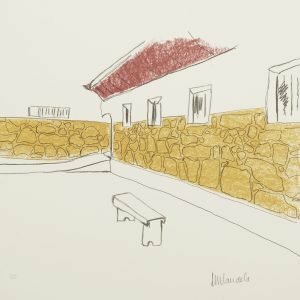 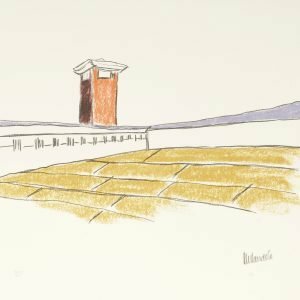 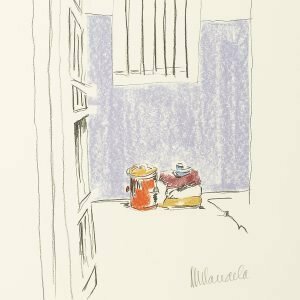 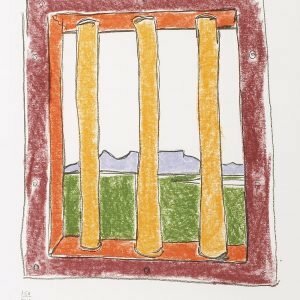 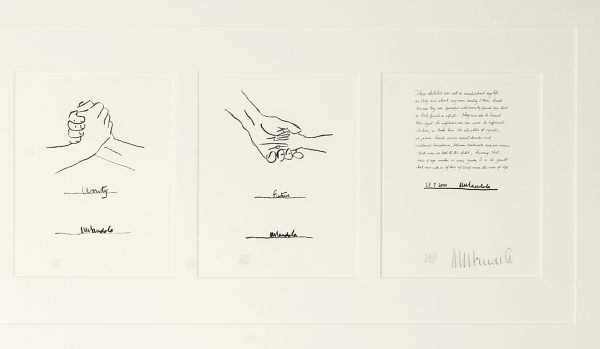 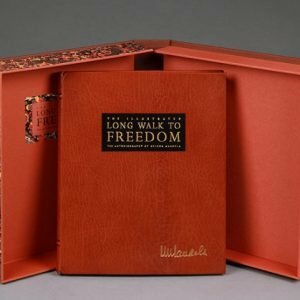 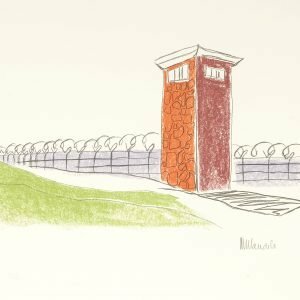 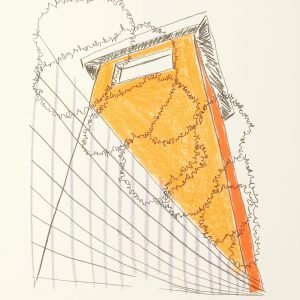 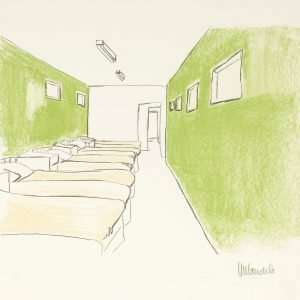 Struggle Series comprises a strip of 6 drawings and a hand-written motivation by Nelson Mandela telling the story of his struggle and that of his beloved country. 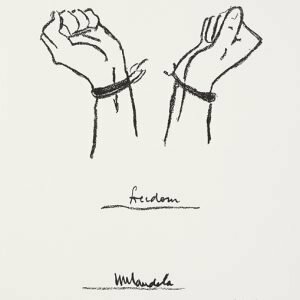 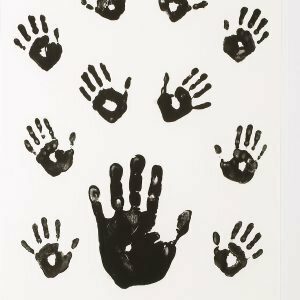 The drawings are of hands, and symbolise the journey he went through – from Struggle to Imprisonment, Freedom, Unity and to the Future. 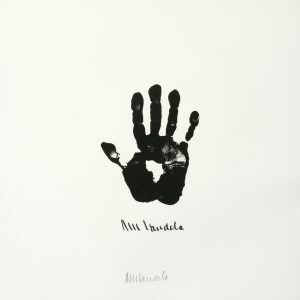 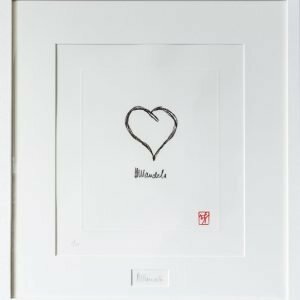 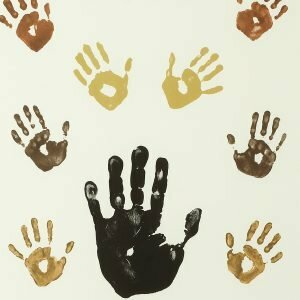 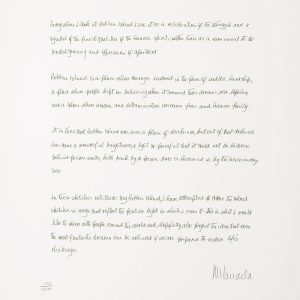 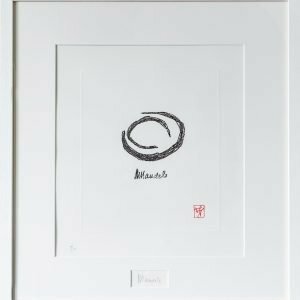 This piece is hand signed by Nelson Mandela underneath the Artist’s Motivation and is from a set of 6 images (edition of 950) with 125 Artist Proofs onto cream paper and 125 Artist Proofs onto white paper (printed onto a single strip).